In the 1960s and 70s, you couldn't call yourself a proper hippie without owning a pair of Birkenstock shoes. In the 1980s, they began to catch on with medical professionals. 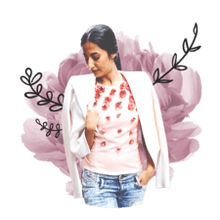 In the 1990s, Generation X staked their claim, and in the 21st century, they are worn by both hipsters and luxury copycats and have have been reinvented by fashionistas. History aside, there are several reasons that Birkenstock is a household name. Their products are incredibly comfortable. The brand was eco-friendly when it still wasn't easy being "green." Finally, the sandals and shoes have a simple, casual look that appeals to people of all ages, and from all walks of life. Since the comfort of footwear is so subjective, reviewers typically have to qualify statements by saying something like "these shoes were comfortable for me." With Birkenstocks, no such disclaimers are necessary. A quick glance at the customer reviews at any online retailer will show you just how well this brand ranks for comfort. 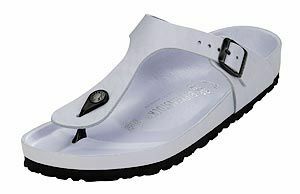 Many people find they are able to wear a pair of Birkenstock sandals right out of the box with no discomfort whatsoever. But if you're not used to their arch support system, you may need time to adjust to it. They recommend flexing the footbed a few times before trying them on, and limiting your wear time to a few hours for the first five to six wearings. Long before it was the thing to do, Birkenstock was very eco-friendly. Over the years, they've continued using premium quality, natural, renewable, recyclable and naturally insulating material. The footbed used in all of their products is made of jute, latex, and cork. Their famous cork soles are made from cork oak trees, without any trees being cut or destroyed in the process. They're made using the bark, which is removed and then allowed to re-grow. Another aspect that a lot of people like about Birkenstock shoes is that they're completely repairable and renewable, keeping more shoes out of landfills, and giving the customer a little more bang for their buck. You can use their online repair and retailer locator to find a repair shop near you. Birkenstocks can also be mailed in for repair. For more information, visit their website for customer service contacts. Are Birkenstock Shoes Cool or Fashionable? Naturally, that depends on who you ask, but there is a legion of fans who'll tell you that there are few things cooler than a pair of Birkenstock sandals or shoes. They love the traditional, simple look of their legendary Birks. The more basic, the better. And for anyone who isn't already a fan, have a look at their most recent collection. Of course, they still look like Birkenstocks, but there are dozens of distinct styles and a huge variety of options, including patent, suede, metallic, nubuck, leather, braided, or EVA uppers; slide or thong styling; buckles or laces; and occasionally even bead or rhinestone embellishments. One favorite style is the Gizeh for fans of flip flops, but for those of you who prefer slides, there are even more options. If your shoe-shopping budget only allows for a trip to the shoe section of your local general store, then you may find Birkenstocks a little pricey. But their prices compare with most mainstream brands, and they're actually more affordable than many other high-end comfort shoes. They have EVA Essentials models for about half of the price of the cork and leather models. Birkenstock.com: Browse current styles and purchase from the manufacturer. Be wary of a site that offers to ship from another country, as that is a sign of a counterfeit Birkenstock.